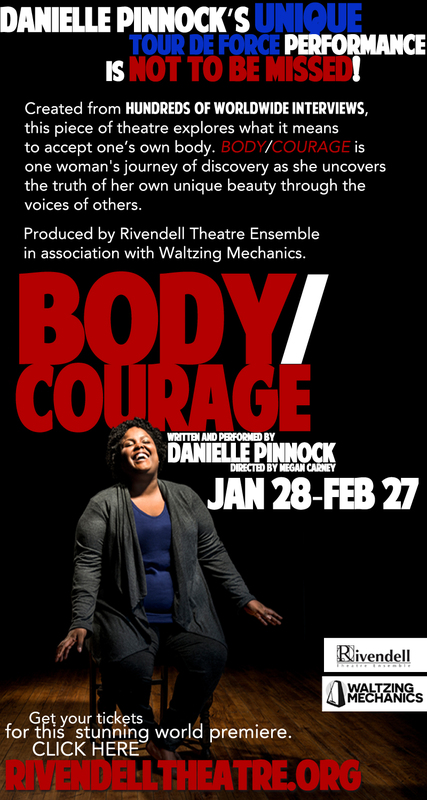 Created from over 300 interviews conducted worldwide, Body/Courage is a rich exploration on body acceptance, as we share in one woman’s transformative journey to discover her own beauty through the voices of others. 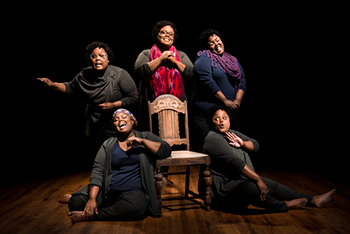 Pinnock’s powerful new work introduces a constellation of characters grappling with diverse body issues including weight, illness, disability, skin color, aging, and gender transition. Together their stories reflect a nuanced and moving response to the high pressures, expectations, and judgments society places on personal appearance. RTE produces Body/Courage in association with Waltzing Mechanics. Waltzing Mechanics creates original documentary theatre inspired by real people telling stories about their lives. Using methods of performance ethnography, Waltzing Mechanics facilitates dialogues among audiences and within the community.